It must be heartbreaking to witness degradation. It must be annoying to see the heart of your plane suffer from premature overhaul. Can't bear the thought of such expensive replacement? You can avoid it with ASL CamGuard Advanced Engine Oil Supplement. CamGuard uses a complex formula with 11 components that give it properties to condition seals, confront corrosion and fight against both the effects of heavy wear and the deposits that form over time. It has proven especially effective with long-sedentary planes (or any other piston-engine vehicle), even if it has gone from wallflower to spinster with neglect. 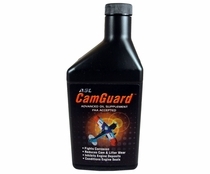 Since CamGuard works best at preventing rather than curing engine wear or the accumulation of harmful substances, you want to make it a regular part of your oil change regimen. 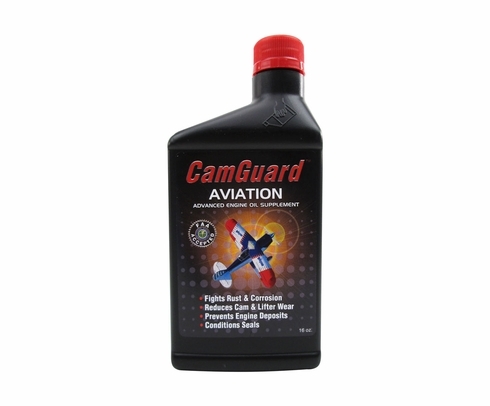 While it may have a complex formula, the solution is simple: CamGuard protects your engine from the toil of corrupted oil.